John MacLeod has led a distinguished career spanning 40 years on the Canadian music scene. 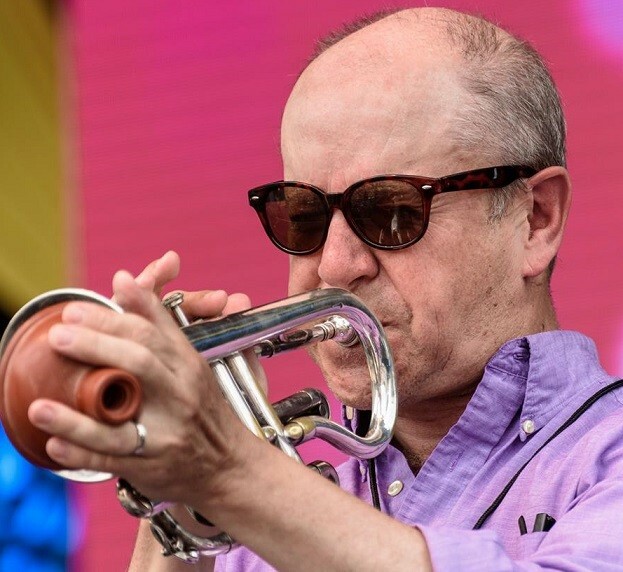 His first major national and international exposure was as a soloist with Rob McConnell and the Boss Brass, beginning in 1983. His playing can be heard on many Boss Brass albums including 2 Grammy Award winners. John’s other playing experience to date includes all forms of jazz performance; live theatre; and studio recording for film, t.v. and radio. As a composer and arranger he has scored music for everything from string quartets up to full symphonic orchestra.. His big band arrangements can be found in the repertoires of professional and student groups all over Canada, the U.S.A. Europe and Asia. He has also completed several orchestral projects which he has conducted at Roy Thompson Hall and the famous Carnegie Hall in New York City. Since 2003 he has led his own 20 piece jazz big band The Rex Hotel Orchestra, which performs monthly at the Rex in Toronto. They have recorded 2 CDs, both of which were nominated for Juno Awards. Their debut album OUR FIRST SET was awarded album of the year in 2011. John is also active as an educator, teaching at both U of T, and Humber College.